Miracles, signs, and wonders are what I do, always, says the LORD. I will perform the spectacular, and do what is astounding, for that is My nature, My power, and My purpose. I Am the almighty GOD in the midst of you. Just believe and receive your miracle. For your faith will activate My Word to work for you. I will perform My Word, and I will amaze you by My power to heal, repair, and restore. I will provide, and nothing can keep Me from supplying all your need, as you look to Me and trust in Me with all your heart, says the LORD. Do not waver in your faith and confidence in Me and My infallible Word. For I will do MY WORD. I will do miracles in your midst. I will create, for there is NOTHING beyond My ability, and if it does not exist, that cannot stop Me from making it. I AM unlimited, and what you need is not a problem for Me. Let your own heart be filled with faith and trust in Me and expect that I will give you everything that you desire. I will honor My Word on your lips that comes from your heart of faith in Me. Do not put limits on Me. For I created all things that exist by My OWN Word and power, and what you need is small in comparison. Let your mind and heart be void of doubt, and trust that I will give you everything you need, and more. For your faith pleases me, and I will hear and answer your prayers of faith and give you all that you will believe Me for, says the LORD. Thank You Abba Father! This is a confirmation of the Word I heard a few days ago. He said, “Thus says the Lord , ‘Make this valley (the Arabah) full of trenches.’ For thus says the Lord , ‘You will not see wind or rain, yet that valley will be filled with water, so you and your cattle and your other animals may drink. ~‘This is but a simple thing in the sight of the Lord ; He will also hand over the Moabites to you. I belive and recieve in The Name of Jesus!Amen! 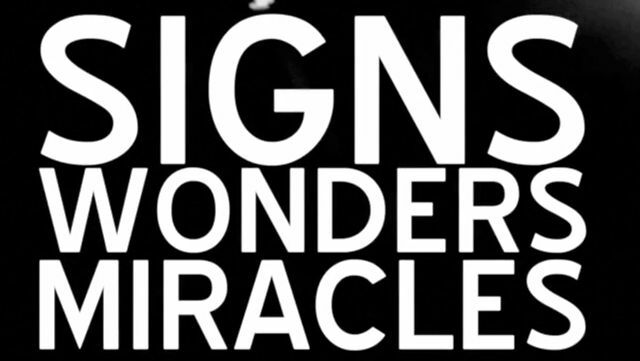 Miracles Signs and Wonders !!! Thank you Lord, amen !.